Six-time Grammy® nominated singer, songwriter and producer Kaskade today released a new EP entitled Redux EP 002 on his own label, Arkade. The seven-song set is now available to stream and download in its entirety HERE. Beginning today, fans can also pre-order a special vinyl version of the release, pressed on white vinyl similar to its predecessor, REDUX EP 001. It will be released in the coming weeks. Redux EP 002 is centered around Kaskade’s intimate Redux shows, an homage to the stripped down clubs and deeper House Music played from the time his career was beginning. It kicks off with the lead single Nobody Like You. The EP also features contributions from LöKii, Mr. Tape, and Late Night Alumni. 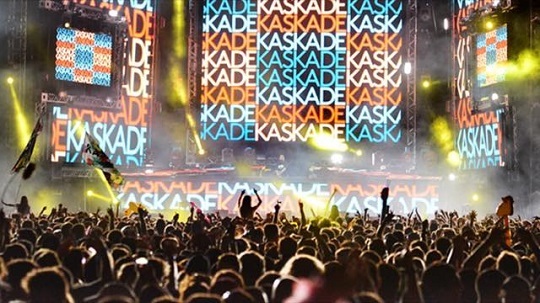 Kaskade has been handpicked by Spotify to provide content for and help curate its largest Electronic playlist MINT (formerly ElectroNOW), which will feature his REDUX EP 002. They will also be featuring four videos from the EP which are exclusive to Spotify to coincide with its release. EXTRA: Remeber Kaskade’s Tribute To Women? Here’s a second listen.